U. of I. anthropology professor Jayur Mehta leads the Carson Mounds Archaeological Project, a long-term study of ancient monument-building societies in the Lower Mississippi Valley. CHAMPAIGN, Ill. — A study of ancient mound builders who lived hundreds of years ago on the Mississippi River Delta near present-day New Orleans offers new insights into how Native peoples selected the landforms that supported their villages and earthen mounds – and why these sites were later abandoned. 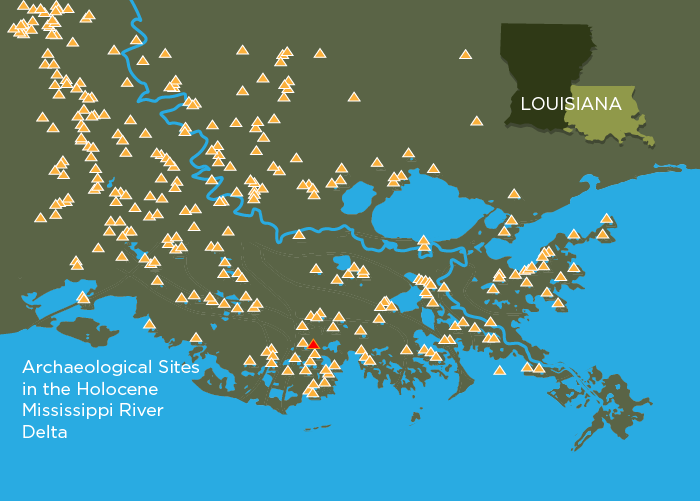 Hundreds of ancient mound sites, depicted here with yellow triangles, still survive in coastal Louisiana. 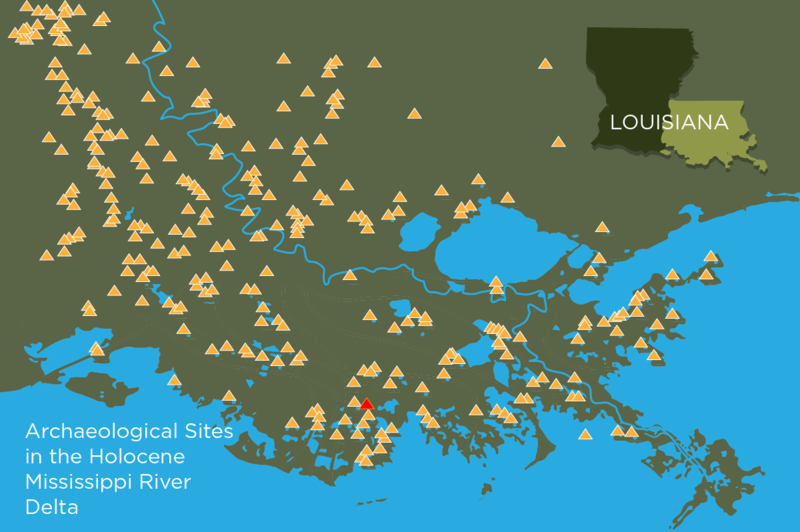 A new study teases out the natural and human history of one of these mound-top villages, a site known as Grand Caillou, shown in red. The mound at Grand Caillou. 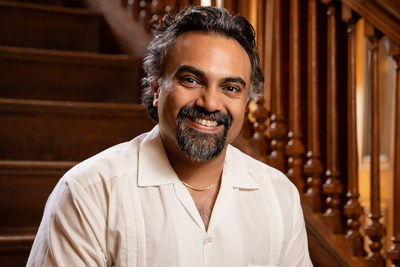 To reach Jayur Mehta, email jayur@illinois.edu. The paper “Mound construction and site selection in the Lafourche subdelta of the Mississippi River delta, Louisiana, USA” is available online and from the U. of I. News Bureau.